GENEVA, SWITZERLAND – A second plane crash has occurred in less than 24 hours; a first plane accident occurred in Taiwan, a second one occurred in Africa. Air Algerie has confirmed that flight AH5017 traveling from Burkina Faso to Algeria crashed with 110 passengers on board and six crew members. Burkina Faso Transport Minister told Reuters the plane was rerouted from Mali’s air space to Niger’s because of a storm in the area (see google map at left). Swiftair, the Spanish company that owns the plane – and MD82 S/N built in 1996 – published a communiqué in Spanish saying all six crew members on board were Spaniards. Swiftair has published a number for those seeking more information is: +34 900 264 270. 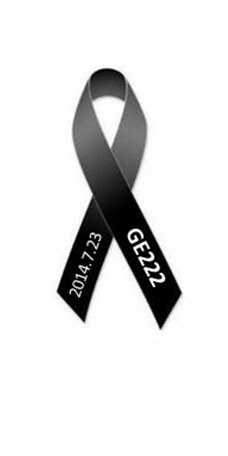 Earlier, on 23 July flight GE222 from TransAsia crashed on landing in Taiwan – possibly due to stormy weather – leaving 48 people dead and injuring 10 on the plane and five on the ground. According to the Associated Press 48 of the dead were Taiwanese nationals and two were French medical students interning in Taiwan.